Have you ever thought about grilling watermelon or avocado? How about grilling a cake or a pan of brownies? Neither had I. So this week I decided to give something new a try, and I grilled a salad. My first step was to find a recipe, which I found in Weber’s New Real Grilling cookbook by Jamie Purviance. 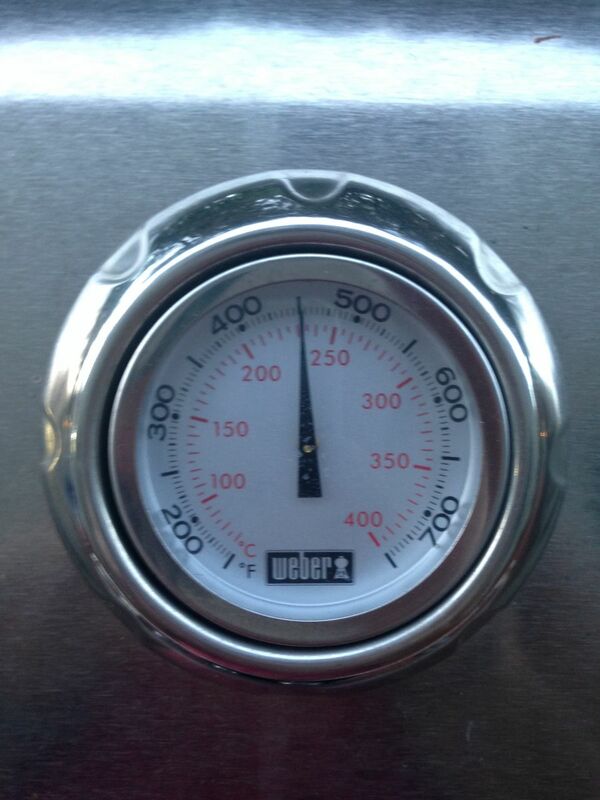 Second, was to prepare the grill for direct cooking over medium heat. Lastly, was to chop and grill away! 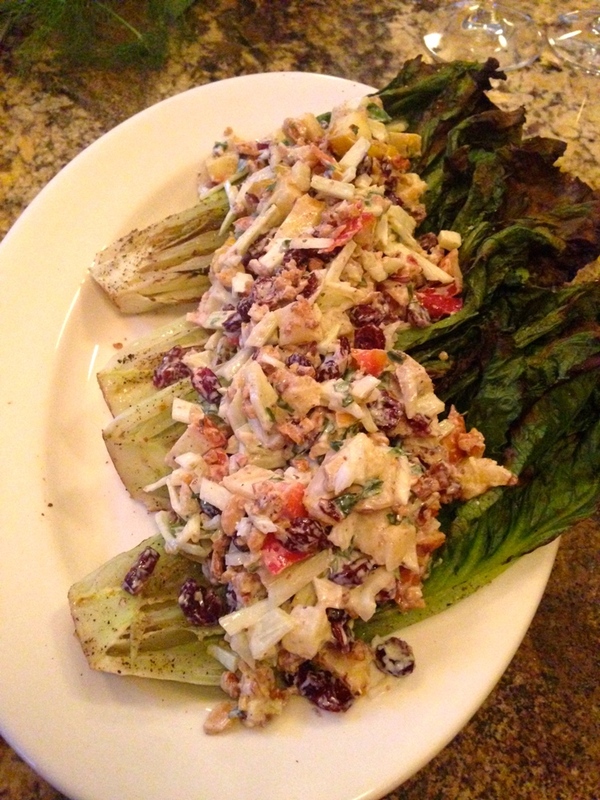 If you are reading this and thinking…I don’t even like salad, why go through the effort to put one on the grill… just trust me. 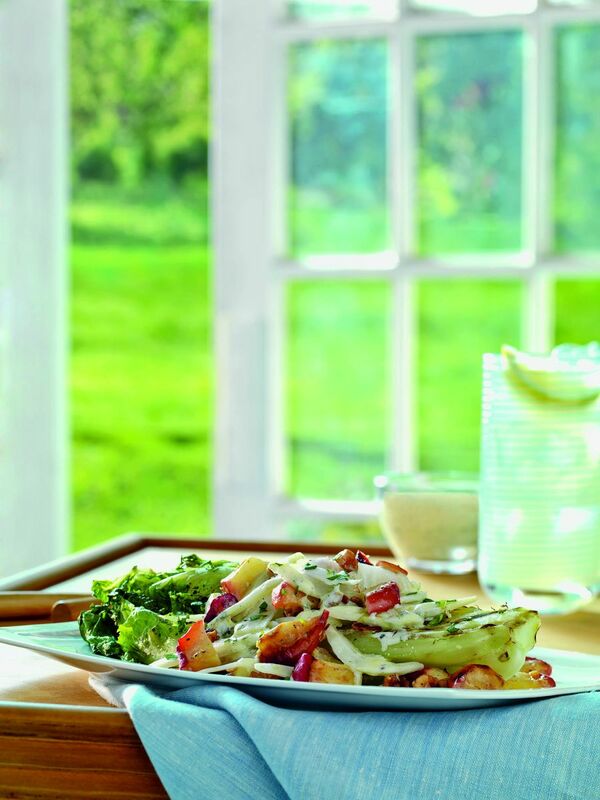 This salad was packed with flavor and everyone in my family loved it! Prepare the grill for direct cooking over medium heat (350° to 450°F) and preheat a perforated grill pan or in my case, a cast iron skillet. Then spread the walnut halves in a single layer on the skillet and cook over direct medium heat with the lid open until golden brown and fragrant, 1 to 2 minutes. Next, drizzle 1 tablespoon of oil on your apples, being sure to cover both sides. 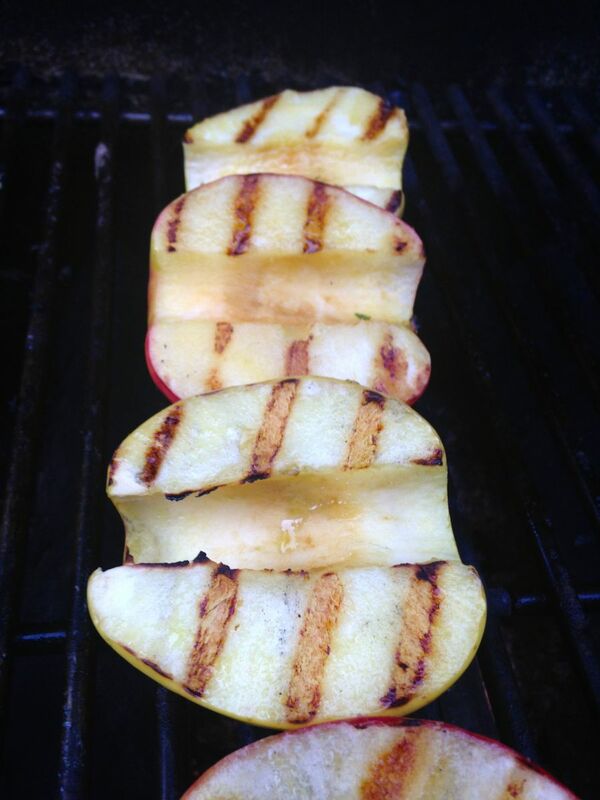 Place the apple slices on the grill and cook over direct medium heat. 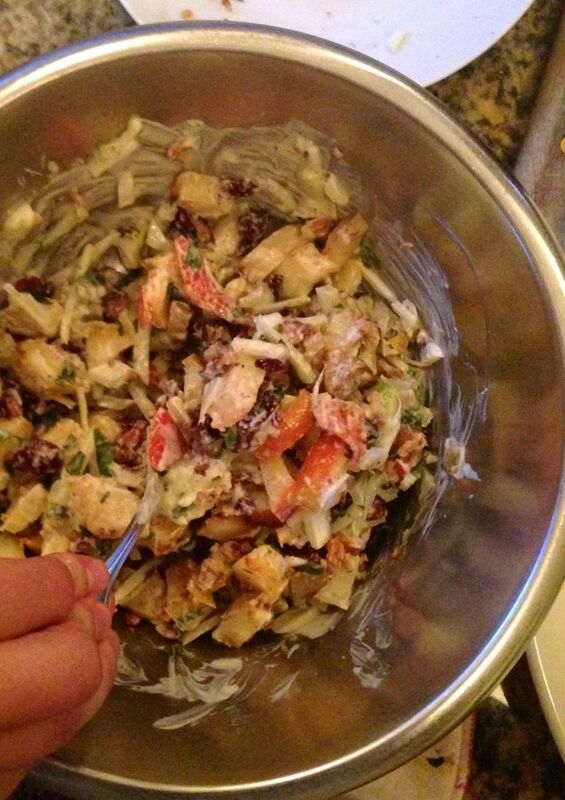 For the toppings to the salad, combine the chopped walnuts, apples, fennel, and cranberries in a bowl. Make the dressing and pour half of it into the bowl and toss to combine. When preparing the romaine, cut each heart in half lengthwise and lightly brush both sides with oil and season evenly with salt and pepper. Grill them over direct medium heat, until slightly wilted, about 2 minutes, turning once. 1. Prepare the grill for direct cooking over medium heat (350° to 450°F) and preheat a perforated grill pan. 2. Whisk the dressing ingredients and set aside. 3. Cut each fennel bulb lengthwise in half, and then cut away and remove the thick, triangular core. Cut the fennel lengthwise as thinly as possible. 4. Spread the walnuts in a single layer on the grill pan and cook over direct medium heat, with the lid open, until golden brown and fragrant, 1 to 2 minutes, stirring occasionally. 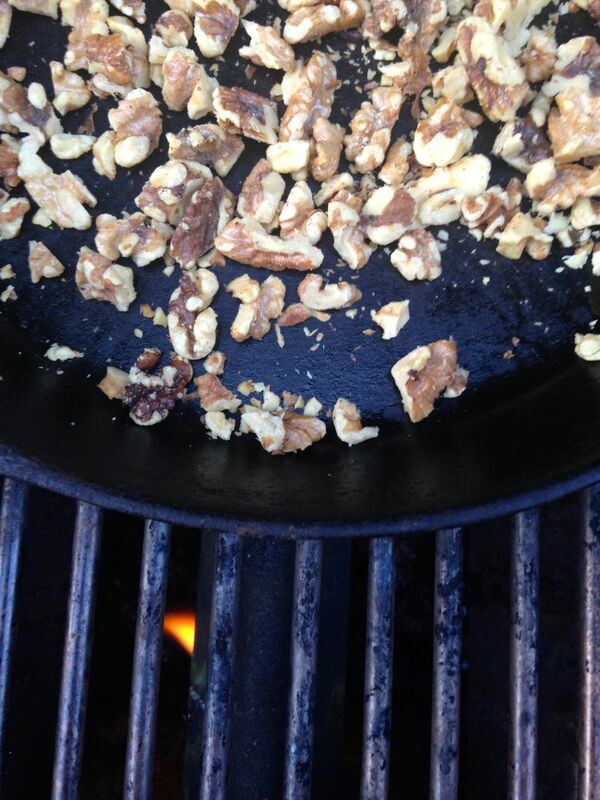 Remove the walnuts from the grill pan and, when cool enough to handle, coarsely chop them. Keep the grill pan on the cooking grates. 5. Drizzle the apple slices with 1 tablespoon oil and turn to coat. Spread the apple slices in a single layer on the grill pan and cook over direct medium heat, with the lid closed, until they have grill marks on both sides, 4 to 6 minutes, turning once or twice. Remove the grill pan with the apples from the grill and transfer the apples to a cutting board. When cool enough to handle, cut the apples into 3/4-inch pieces. Lightly brush the romaine with oil, season evenly with salt and pepper, and then grill, cut side down first, over direct medium heat, with the lid closed, until slightly wilted, about 2 minutes, turning once. Transfer the romaine to a serving platter cut side up. 6. 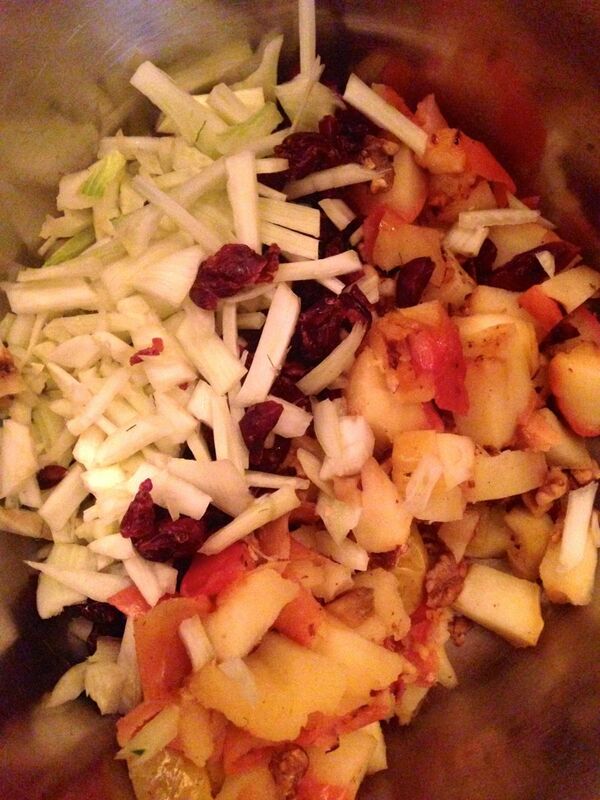 In a bowl combine the walnuts, apples, fennel, and cranberries. Pour in half of the dressing and toss to combine, adding additional dressing, if desired. Spoon the apple mixture over the romaine. Garnish with the tarragon and serve right away. © 2013 Weber-Stephen Products LLC. Recipe from Weber's New Real Grilling by Jamie Purviance. Used with permission. Make Your Best Ever Grilled Turkey!